This entry was posted on Monday, March 20th, 2017 at 9:44 am	and is filed under Living Proof Live. You can follow any responses to this entry through the RSS 2.0 feed. You can skip to the end and leave a response. Pinging is currently not allowed. Will the Cedar Rapids presentation be broadcast at some point? Hi Jane, we pull most of our TV programming from LPL conferences, so it is highly likely that it will be used for a TV program in the future! My daughter and I went to this LPL event and it was amazing! Beth is so down to earth and people can relate to her. Her openness and honesty is refreshing. I just love her and God has used her to speak to me personally so many times. What can I say about Travis and his team?? Unbelievable!! I could listen to them all day and they always bring such a grand sense of worship to these events. I am always touched and amazed by their music and voices. Thank you, Beth, Travis and team and ALL who made this event what it was…God glorifying!! This fills me with such joy I could cry! I just wanted to say how much I enjoy the recap videos. I frequently pray for LPL events and the women who will come to know my sweet Jesus and those who will grow closer. The videos give me a chance to see the precious women that Jesus has brought to each event and of course to see the LPL gang glorifying God. You all make me smile. It is a privilege to lift you up in prayer. I love you guys! Lynda, this means the world to us. Thank you so much for your accomplishing prayers! I attended the conference Friday night. It was amazing. Saturday I woke up with a migraine, so was not able to make it on Saturday to the conference 🙁 Is it possible to catch what I missed? Hi Jennifer! I’m so sorry you missed Saturday. Hopefully you are feeling better now! Unfortunately, there is no way to catch up right now. The conference was filmed in hopes of turning it into a TV program for Beth’s TBN show “Living Proof with Beth Moore.” Be watching for it to air there sometime in the future. Blessing to you! My daughter and I attended this event – it was awesome. Coming from a farming background I loved how Beth talked about our deepest root, rooting, uprooting, etc. I’ve always struggled with knowing that God loves me, I mean, I know he does but I’ve always felt like my sins would find me out, always considered myself the “chiefest of sinners”. The day after I got back, my 101 mom fell and broke 2 ribs. I was immediately thinking, well, this is some kind of “payback” for my sins even though I know in this life, we can never be free of suffering. But then, today, the coolest thing happened. I carpool with my neighbor and every morning we pray for members of the staff where I work that are suffering from cancer and any friends or family we know. We call them by name and ask God to heal them and eradicate every cancer cell in their body. Today, one of these girls came by my office and asked if she could share her testimony because she had just gotten her results back from a recent test and knew we prayed. She said she was “cancer free” and that God had told her he had eradicated the cancer from her body. She said “I didn’t even know what that word meant, I had to look it up”. When she said that, right then I knew God wanted me to know that He loves me and He hears my prayers and I need to walk in the confidence that comes from knowing He loves me! Thanks Beth and team for a great conference. I don’t know what tomorrow holds but I know who holds tomorrow. What an amazing story of His healing, love and faithfulness! Thank you for sharing, Delanie. Hi Mrs. Moore, Thank you for the wonderful teaching in Cedar Rapids. My husband and I visited a dear friend of ours in ICU on Wednesday before the event and my husband remembered how he liked a passage in Ephesians. He pulled out the scriptures and read out loud Ephesians 3:14-20…imagine my delight then to hear your teaching!!! I was working in the yard later on Saturday and giving power to the powerless was on my mind and I thought how much more I need to do in this area, and how much Bible study has helped me to be more confident in sharing God. Then I thought of Seeds Family Worship and how they sell Cds in sets with the intention of you keeping one and giving the other away = planting seeds in another family who needs to know the Lord. I don’t know if it is possible, but perhaps your conferences might occasionally work the same way in which an attendee buys a ticket for themselves and is called to give a second ticket to someone else who needs to know the Lord. Perhaps it would foster new discipleship relationships and bring power to the powerless. Thank you again for fully engaging in the ministry God has given you. I have been very blessed by it. Hi Kim, that’s a great suggestion! Thank you for sharing. Blessings to you! And thank you Jesus. God has opened my eyes in ways I never thought could be. We just finished your Enteusrws study and it was awesome! In Session 6 you recited a creative writing piece that I think you wrote about seeing Him in heaven for the first time. .
Is that available in writing anywhere? I’d love a copy of it. We just finished your Entrusted study and it was awesome! In Session 6 you recited a creative writing piece that I think you wrote about seeing Him in heaven for the first time. Hi Kay! If you send us an email at lproof@lproof.org, we will be able to send you the full transcript. Blessings to you! Could the commission (?) that Beth does at the end of the event be put on here? Thanks! Hi Ann! We will be happy to send you a copy of the LPL commissioning. Be looking for your copy to come via email. Blessings! Could I also get the commissioning that Beth does at the end? Thank you!! Hi Debbie, yes of course! Be looking for your copy to come via email! I have read several of your books (Personal favorite David “A Man After God’s Own Heart” and participated in two of your studies at my Church Ladies’ Bible Study – “Children of the Day” and “Entrusted” as well as enjoying your new series on TBN. I am so moved by some words you said in “Seed for the Sower” on your TV program. I know that as was I, you were sexually abused as a child, but you said there was no innocence in you as a child because of this abuse; you had never known it. Oh My Sister, your words are (along with God’s Word) food for my soul. I don’t know how many therapists I’ve seen and how many people I’ve talked to about my abuse but NOONE has ever understood (in my opinion) the depth of the anguish in a girl and then woman’s heart to have never known innocence. And you said in this episode that you could sit down face to face and talk to another whom had been abused. I wish with all my heart I could sit down and speak with you because NOONE understands, but I know you do. I just wanted you to know that the blessing of your words is manna for my soul to know someone really understands – it is not just the abuse that brings the heartache, it’s the feeling of NEVER KNOWING INNOCENCE. Thank you for how hard you work to bring us into the light of God. I study my bible with rare exception every morning and I attend a Spirit filled church with an amazing Pastor and congregation of FAMILY. But Girlfriend what I wouldn’t give to talk to you face to face. Thank you for understanding my heart and thank you for lifting me up. I adore you! I had heard the name Beth Moore before… I thought, but it never went further than that. About a week before the event I felt that I needed a break from Netflix binge watching and since I had just moved into a new house was unfamiliar with the channels so I just started flipping until I saw Beth Moore speaking on a tv program. She was giving the definition of anxiety – something I have suffered with tremendously for years, so I thought I should listen. While I laid in bed, not even watching just listening, I was really curious as to who this person was that I related to so much. Then I heard it was Beth Moore and she was getting ready to begin some type of tour…? Honestly… about asleep I just sat up knowing I was to look at where she was going. I have many friends spread out through the U.S. so surely this meant I needed to book a trip to Denver, San Diego, or Phoenix to see her! Then, the most amazing thing happened – I saw that the first stop on this tour was Cedar Rapids, Iowa. CEDAR RAPIDS!!!! An hour away and where a friend/previous bookkeeper moved a couple months ago to get a fresh start. There was no doubt in my mind, God was clear that I needed to attend this event! Shyly I asked my friend and mom if they wanted to go, but honestly I was prepared to go on my own. We did not have details planned until the morning of. My mom and I stayed in my friend’s apartment – one on the couch and one on an air mattress. I felt somewhat silly, but I just felt God calling me to discuss the message between the sessions and after. I have NEVER led a Bible study, always have felt inadequate in Christian eyes as I too tend to get drawn toward the ditch… and only became solidly rooted in my faith starting 1/11/17 when I accepted Christ. I did not find out until later that this friend, someone I had thought was a Christian already and probably further in her walk than me, accepted Christ into her heart that weekend. I cannot tell you how much this event meant to all of us. The message was so powerful and the praise absolutely captivating. Thank you all for using the gifts that God has given you to bring people together in the name of Christ! Hi Jenna, this blesses us so much, in so many ways! Thank you for sharing. We’re so glad you guys are able to join us in Cedar Rapids! 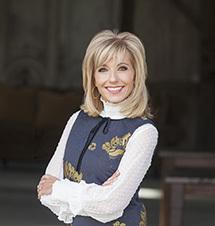 Beth Moore has been coasting for quite a while on “old manna” – things are about to change and it will redefine the meaning of Spiritual Fire in her Life and Ministry. I will meditate on Your precepts and think about Your ways. I will delight in Your statutes. I will not forget Your word.